There is no shortage of amazing hiking trails in California, and to narrow that list of hikes down to just a few of my favorites presented me with a very unique challenge. In California, your hiking options are nearly limitless. From Southern to Northern California, sea to desert, tall redwood trees to tiny Joshua trees, the hiking options are as diverse as California’s landscape. The following guide below hones in on 6 of my favorite hiking trails in California that rank higher on the difficulty scale, but are well worth their effort. It is by no means an exhaustive list, I’d have to write a book to really capture them all, but these routes cover a wide range and variety of the challenging hikes that California has to offer. Permit Required: Yes, Half Dome has a very vigorous and competitive permit system. You will be fined if you are found on the Half Dome Cables without a permit. Hiking to the top of Half Dome in Yosemite National Park is probably one of the most unique hiking experiences you can get in the entire state of California. It’s hands down one of the best hikes in California, located in the heart of one of California’s most well-known National Parks. What makes it so special? It’s got everything a great hike needs: beautiful scenery and views, physical challenge, and fear-factor. 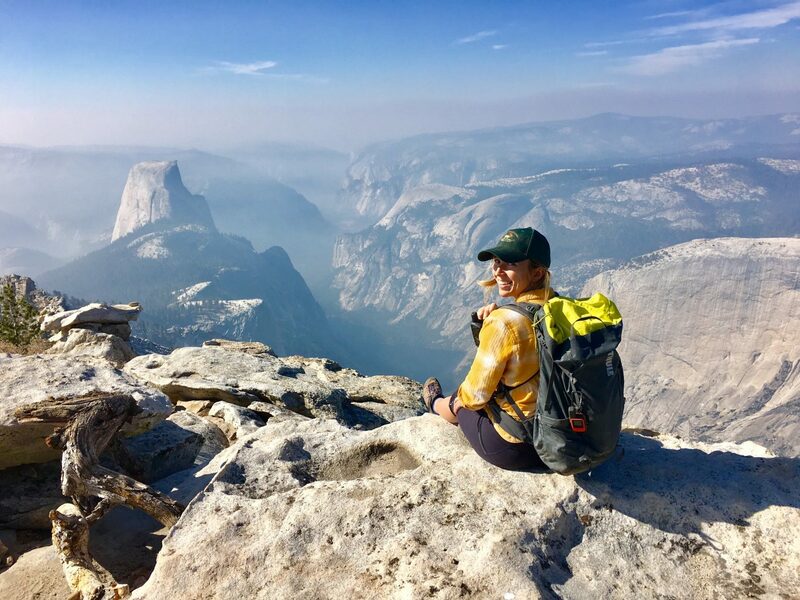 It’s not just the fear-factor that makes this one of the best hikes in California, but the feelings you will get after you’ve hiked up Half Dome’s steep granite slab trail to its summit. Hiking to the top of Half Dome will leave you feeling proud, confident, and ready to take on the world. It’s a true adventure with some of the finest views of Yosemite Valley. The Half Dome cables don’t typically come up until late May or early June, depending on weather conditions, so the best time to plan to hike this trail is late June to early October. However, late September is personally my favorite time to hike in Yosemite. Many people attempt this hike as a one-day push. However, if you don’t feel like you are up for the physical (and mental) challenge of a one-day push up to the summit of Half Dome, consider a two to three-day backpacking trip. You can camp in Little Yosemite Valley Campground on your way up to the summit of Half Dome. However, you decide to tackle it, be sure to put Half Dome, one of the best hikes in Yosemite and California, on your California hiking bucket list. Image by Allison of She Dreams of Alpine. Get your free hiking planner and checklist and be organized for your California hike. Logistically, getting permits to climb up Half Dome can be a bit challenging. People from all over the world compete in a lottery system at the beginning of each year (around early February) to apply for permits. If you don’t win the lottery, you can try to grab dropped permits closer to the date of your upcoming hike, or take your chances at grabbing some of the limited walk-in permits that are reserved for hikers in the park. Another option would be to link your Half-Dome permits with a longer tour of the Yosemite backcountry via backpacking permits. Either way, it’s very competitive on all fronts, but it is definitely worth trying for. Pro Tip from a Local: Consider hiking up via the Mist Trail, but on your way down hike down the John Muir trail for an easier downhill descent. Your knees and feet will thank you. Make the most out of your National Park visit with this guide to free camping. Death Valley National Park doesn’t see quite as many visitors as other nearby parks like Sequoia and Yosemite but is one of the largest National Parks in the entire US and by far one of the most diverse. Telescope Peak stands tall near the Western entrance of Death Valley, and is Death Valley’s highest point at 11,049 feet. The views along the Telescope Peak hike are unmatched, making it one of the best hikes in Southern California. To the East of the Telescope Peak you will see Death Valley’s salt-flats and sand dunes and to the West, you will see the breathtaking Sierra Nevada Mountain Range towering in the distance. Telescope Peak has a more staggered hiking season due to the range of weather that Death Valley experiences. The trail is best attempted from November to April, but you will want to check the weather during the Winter months since this peak frequently does get snow during that season. Most people attempt the trail as a day hike, but plan to dedicate a whole day to this classic California hike. Logistically, you’ll have to drive up some rougher roads to access the trailhead (which can take time), and the trail can easily take 7 to 9 hours to complete depending on your fitness level. Pro Tip from a Local: Bring all kinds of layers for this hike. Desert weather is so unpredictable. You may be hot when you start your hike and then find yourself very cold a moment later. When I did this hike in early December we started our hike in fairly decent cool temperatures. By the end of the hike the wind had picked up and it had started to lightly snow. Fortunately, we were prepared. Make a trip out of it. Plan to camp in Death Valley with these desert camping hacks. The Mount Baldy hike is a very popular hike in Southern California and is considered an excellent training hike for the 14,000-foot peaks in the Sierra Nevada Mountains if you live in this area. Over a relatively short distance, the trail provides an excellent leg burning workout for Los Angeles locals. It also happens to be a really unique and beautiful hike that is only an hour drive from Los Angeles making it one of the best hiking trails near LA. There are multiple ways to approach this hike, but my favorite version is hiking the trail as a loop starting at the Baldy Bowl Ski Trail and descending down its narrow and infamous Devil’s Backbone Trail. Mount Baldy stands tall at 10,064 feet and on a clear day the summit provides you excellent views of Los Angeles County. This trail is best hiked during the late spring to late fall timeframe. Mount Baldy does typically get snow in the winter, so as that season approaches be sure to check conditions before hitting the trail. The Devil’s Backbone trail can be very dangerous in the winter and unless you are a mountaineer, you should pick a different Southern California trail in the winter. Plan to spend around 6-8 hours hiking this trail as a loop depending on your fitness level. Pro Tip from a Local: Definitely get there early. Los Angeles is a big city and this is one of its most popular Los Angeles hikes. White Mountain stands tall at 14,246 feet and is one of the few California 14ers that can easily be attempted as a day hike. Now just because White Mountain is considered California’s “easiest” 14,000 foot peak to summit, doesn’t mean it’s actually easy. 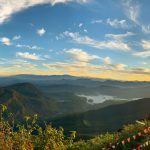 You’ll notice that compared to the Mount Baldy Hike, there is less total elevation gain on this California hike, but the biggest challenge you’ll face on this hike is adapting to altitude. The trailhead starts at 12,000 feet and many hikers battle elevation sickness their entire hike toward the summit, and many don’t summit due to this particular challenge. It is very important that you plan to adapt to the altitude prior to attempting the summit push. So even though this hike can be attempted in a day, its best to plan a weekend for this one. Drive up early, spend some time at altitude and adapt a bit before attempting the summit of White Mountain. Fortunately, once you’ve adapted to the altitude, this trail is easy and straightforward to follow. White Mountain is best attempted from late June to early October, and plan to spend 7-9 total hours hiking up to the summit. It’s a great introduction to California 14er peaks to give you a little taste of that high-altitude life. When you make it to the summit you can look out west toward the Sierra Nevada Mountain range and pick out your next 14,000-foot peak. Maybe Mount Langley? Mount Whitney? Welcome to the 14,000-foot club. Pro Tip from a Local: The final stretch of road to the White Mountain trailhead is considered “off-road”, and while it isn’t necessary to have a high clearance vehicle, do be aware that flat tires are very, very common on this road (speaking from personal experience). Come prepared to tackle a flat tire. We always bring 2 methods of back-up with us, a can of fix-a-flat and our spare tire. If you don’t know how to change a flat, learn that too before you head out. Get more out of your mountain with these tips for your first fourteener. If Half Dome is the king hiking trail in Yosemite National Park, Clouds Rest is its queen, and the best part about the Clouds Rest hike is that you don’t need to worry about getting a permit in order to hike it. You’ll be rewarded with equally amazing views of Yosemite Valley, and a view of Half Dome as its iconic centerpiece. Also, those with a fear of heights and who are too timid to try out the Half Dome cables can come to Clouds Rest to test their courage on a slightly less scary, but still heart-racing narrow trail towards the end of the hike. In order to get to Clouds Rest, you’ll need to drive a little ways outside of the Valley toward Tuolumne. I like to hike this trail from the Sunrise Lakes Trailhead since it’s the most accessible. However, you can also get to the hike from several other locations as well. Like Half Dome, it is best to do this hike starting late June to early October. You may be able to get by later in the season as well depending on the snow conditions. 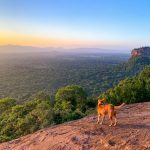 Most hikers do this hike in a day but expect to dedicate a good part of your day toward this hike. It can take up to 7 hours depending on your fitness level. Pro Tip from a Local: Get to the trailhead early in the morning so you can hopefully beat some of the crowds and enjoy the views more or less to yourself. This hike gets very crowded since it’s a popular second to the Half Dome hiking trail. Permit Required: You will need to make campground reservations in advance. There is no dispersed camping allowed on the island. I couldn’t help but mention this very unique California hiking trail located off the coast of SoCal on Santa Catalina Island. The Trans-Catalina Trail is one of the most unique trails in the entire state, and you’ll have to prepare a bit in advance to logistically make it all happen. However, the effort is well worth it, and you’ll get a one-of-a-kind island backpacking experience. Don’t be fooled by the fact that this trail is an island hiking trail, the Trans-Catalina trail is a very challenging backpacking trail. This is due to its constant gain and loss of elevation throughout the entire hike. If you are feeling ambitious, you can attempt the hike in three days, but if you’d like to take your time and enjoy the island vibes plan to spend about five days on the trail. Hiking the Trans-Catalina Trails is one of the best tours you can get of the Santa Catalina Island. The backpacking trail is accessible year-round, though spring and fall are probably the best times to attempt the trail since the heat of the summer can get pretty brutal as there isn’t much shade along the trail. Pro Tip from a Local: Embrace the island vibes. Even though you are technically “backpacking” this trail and roughing it outdoors, feel free to treat yourself as you make your way across the island. There are several stops along the way where you can grab snacks, or even a cold beer and hot food in one of the towns. You don’t get too many backpacking trails like that in California. These are a few of the best hiking trails in California for the seasoned hiker. With so many different landscapes there’s an endless array of trails to explore in California. So what are you waiting for? Get out there and go for a hike! Meet Allison of She Dreams of Alpine! 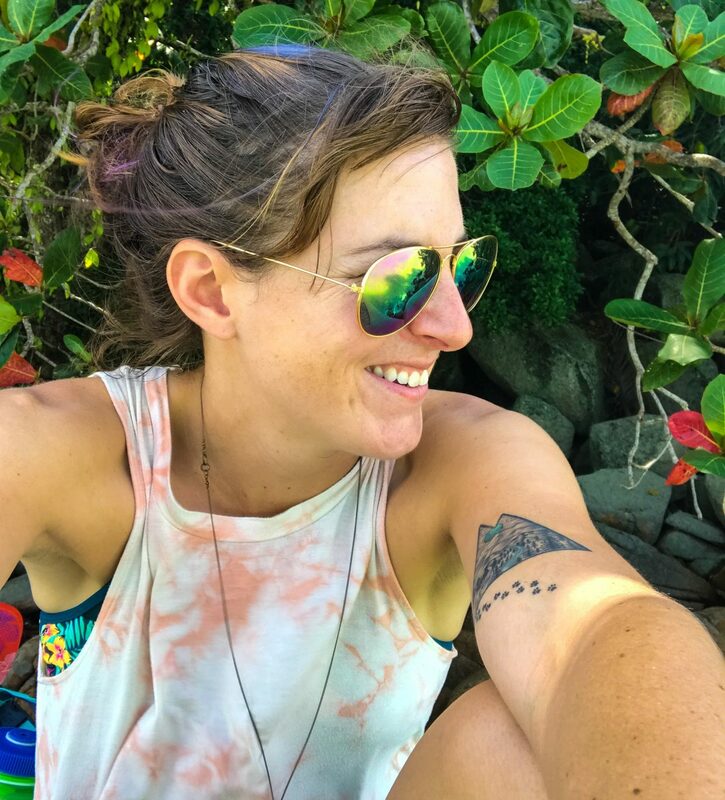 Allison is the founder and primary voice behind the She Dreams of Alpine blog, and she is passionate about teaching others how to embrace their inner outdoor badass so that they can feel prepared to go on their dream backpacking and climbing adventures. She started her blog in 2014 as a place to share her new-found love for outdoor adventure with friends and family after her move from Texas to California, but today She Dreams of Alpine has transformed into something even bigger. She Dreams of Alpine is a place meant to break stereotypes and help people, and in particular women, feel empowered to be as adventurous and daring as they dream of.